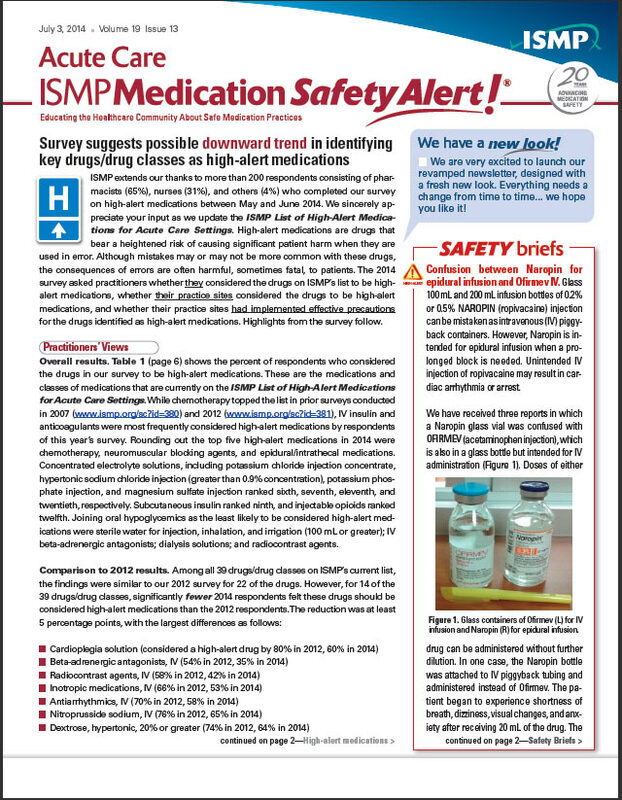 ISMP Canada Safety Bulletins are designed to disseminate timely, targeted information to reduce the risk of medication incidents. The purpose of the bulletins is to confidentially share the information received about medication incidents which have occurred and to suggest medication system improvement strategies for enhancing patient safety. The bulletins will also share alerts and warnings specific to the Canadian market place. 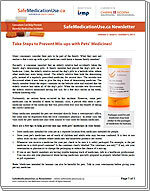 The Medication Safety Alert! 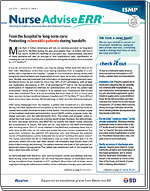 Acute Care edition newsletter from ISMP (US) has been in circulation since 1996. It is a biweekly compilation of medication and device related errors, prevention recommendations and editorial content. It alerts practitioners and managers in a timely fashion to potentially hazardous situations that may contribute to adverse drug events. 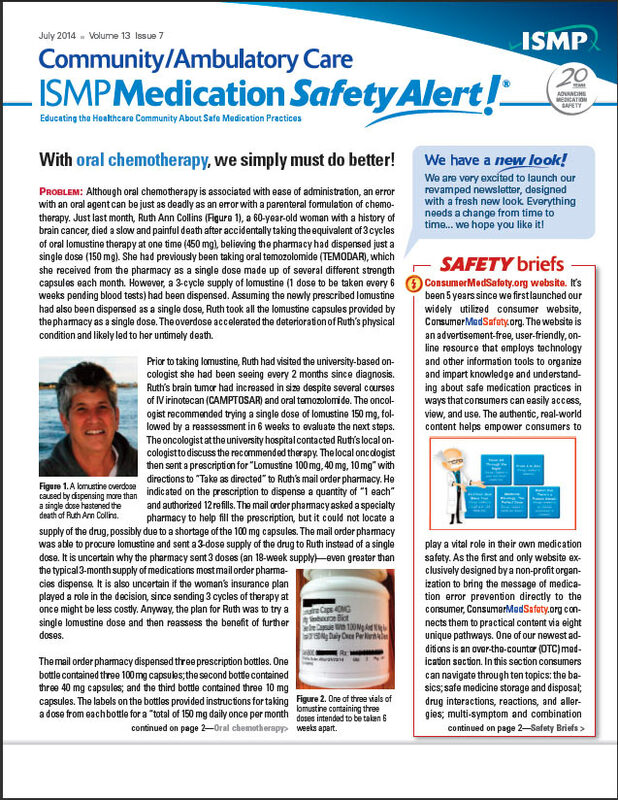 The Medication Safety Alert! Nurse Advise-ERR is designed to meet the medication safety information needs of nurses who transcribe orders, administer medications, and monitor the effects of medications on patients. 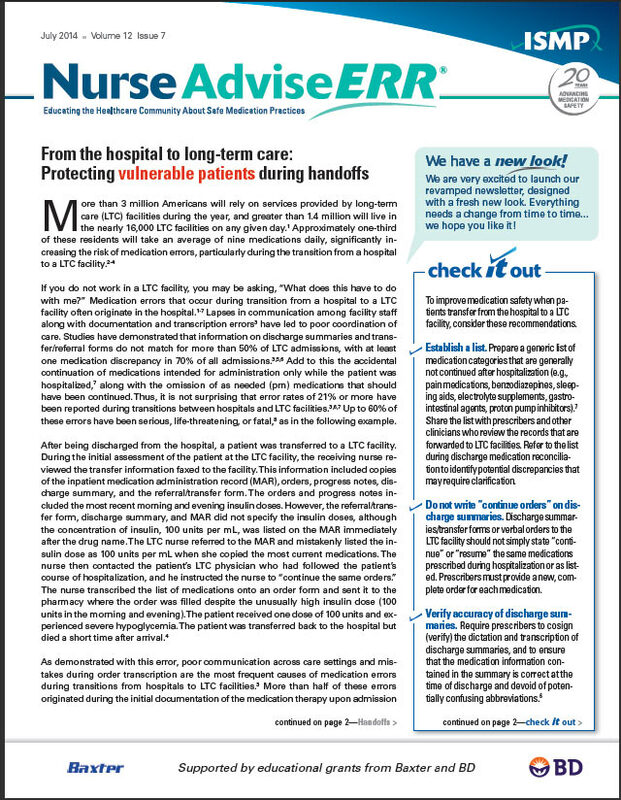 Published monthly, the newsletter offers detailed error reports and checklists of evidence-based error reduction strategies. 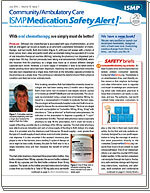 The Medication Safety Alert! Community/Ambulatory Care edition is targeted toward pharmacists, pharmacy technicians, nurses, physicians and other community health professionals. 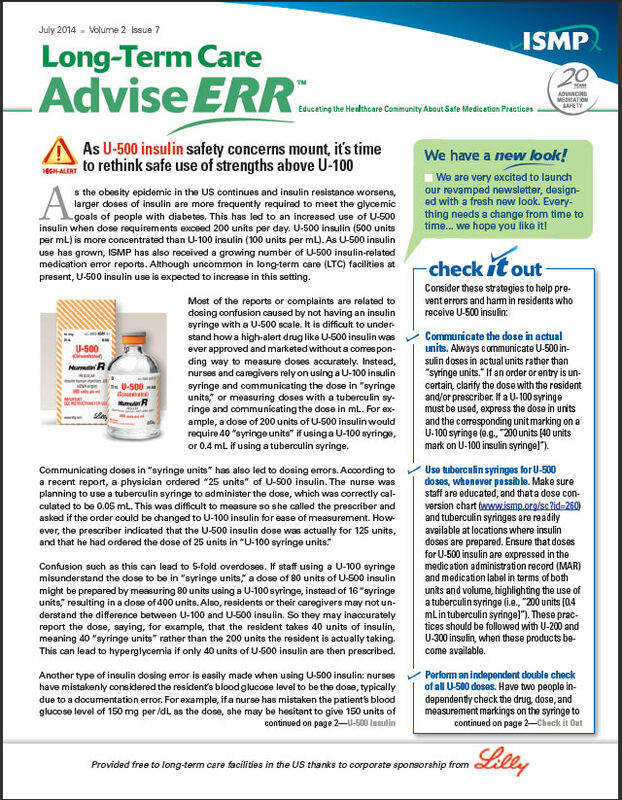 This monthly newsletter provides timely information about medication-related errors and adverse drug reactions and their implications for community practice sites, and offers recommendations on how to improve medication safety within the community setting. The Medication Safety Alert! 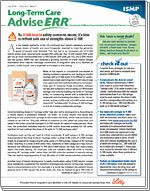 Long-Term Care Advise-ERR is a monthly newsletter, specifically tailored to the long-term care setting, which provides timely medication safety information to staff working with resident populations that are often elderly, frail, dependent, complex in nature, and fraught with many different illnesses and dysfunctions. 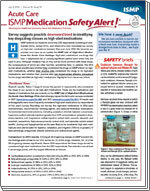 ISMP Canada is pleased to distribute The Medication Safety Alert! 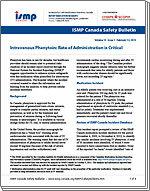 (US) newsletters along with ISMP Canada Safety Bulletins to Canadian practitioners and corporations. * Annual subscription fees apply to Canada only. Ontario hospitals may sign up to receive the newsletters free of charge. The subscription fee will be paid for by Becton Dickinson Canada Inc.
To subscribe, please complete the following fields and click the Submit button. Newsletters will be sent via email. The contact person is encouraged to distribute the newsletters within his or her organization. Province Alberta British Columbia Manitoba New Brunswick Newfoundland and Labrador Northwest Territories Nova Scotia Nunavut Ontario Ontario Hospital Prince Edward Island Québec Saskatchewan Yukon Territory Ontario Hospitals should choose 'Ontario Hospital' to receive the newsletter free of charge. Thank you for supporting ISMP-Canada. An invoice will be sent to the above address, if applicable.